Catch Basins for Drainage | Storrs CT | D. Kyle Stearns Contracting, Inc.
D. Kyle Stearns Contracting installs catch basins to alleviate drainage issues on your property. Catch basins are effective at collecting rainwater and snow melt water. The runoff is diverted through a system of underground piping, culverts and drainage ditches. 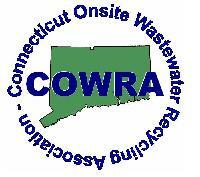 Kyle installs catch basins for residential and commercial clients in and around Storrs CT. Catch basins are suitable for properties with parking lots to prevent ponding and flooding in wet weather. Kyle is a licensed drainage solutions contractor serving Tolland County Connecticut. D. Kyle Stearns Contracting has the expertise to correct any drainage issues on your property. If there are signs of water erosion due to roof runoff or faulty gutters, do not delay and call for a consultation. Kyle has the heavy-duty equipment needed to do the job right. An effective drainage system will keep your basement dry, reduce soil erosion and eliminate puddling in your yard. If your basement has wet spots or worse, you need to call in an expert. There are many issues which may arise that will cause drainage failure on your property. It is not wise to risk damage to your property when water collects in your basement or damages your foundation. As a full service drainage contractor, Kyle will evaluate the grade on your property. He will find out where rainwater collects as it runs off your roof. He will inspect your gutters and whether your downspouts are oriented properly. As a drainage solutions contractor, Kyle will install a drainage system around the foundation, make necessary corrections to the grade, and divert downspouts to draw runoff away from the house. If you have drainage issues, call Kyle today at 860-450-1592. Our work order includes a written contract before commencing a project, the scope of the project to be performed in detail, and a written guarantee that you will be satisfied with the work performed. Kyle gives regular updates and progress reports to the client during the job. Kyle is a perfectionist and works closely with his crew to make certain the job is done to his high standards. D. Kyle Stearns Contracting Inc. is Licensed and Insured: HIC.0584816 and Septic# 006013. Our crew shows up on time and does meticulous work, within budget. 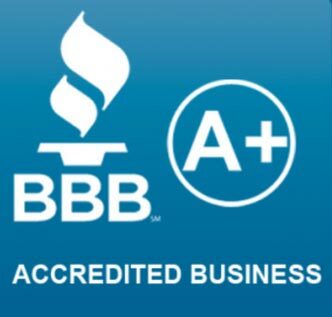 D. Kyle Stearns Contracting is rated A+ by the Better Business Bureau. Take our word for it or see what our clients say about us.